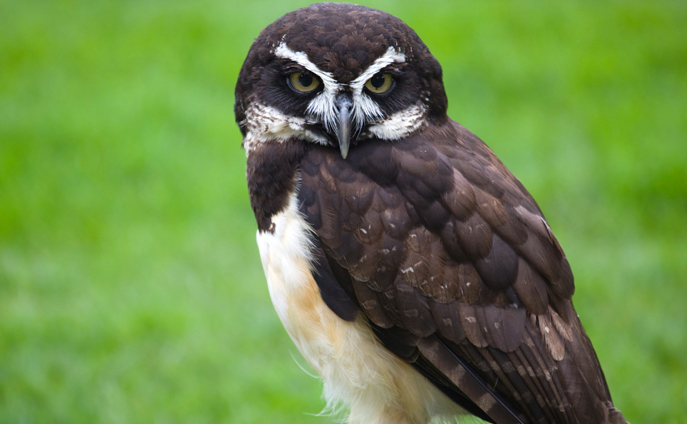 Spectacled owls get their name from the circular white markings around their eyes that resemble glasses or spectacles. Females build nests inside tree cavities and often only 1 chick per clutch will survive. Males and females will take turns incubating the eggs while the other hunts. Young spectacled owls have the opposite markings of their parents, a white body with a black mask around their eyes.